I love cheesecakes but they are so not diet foods, but this gives me a little bit of relief from my cravings without breaking the syn bank. This is a nice and easy recipe which is assembled in minutes. In tall wine glasses, place the finely chopped kiwi flesh and blueberries. 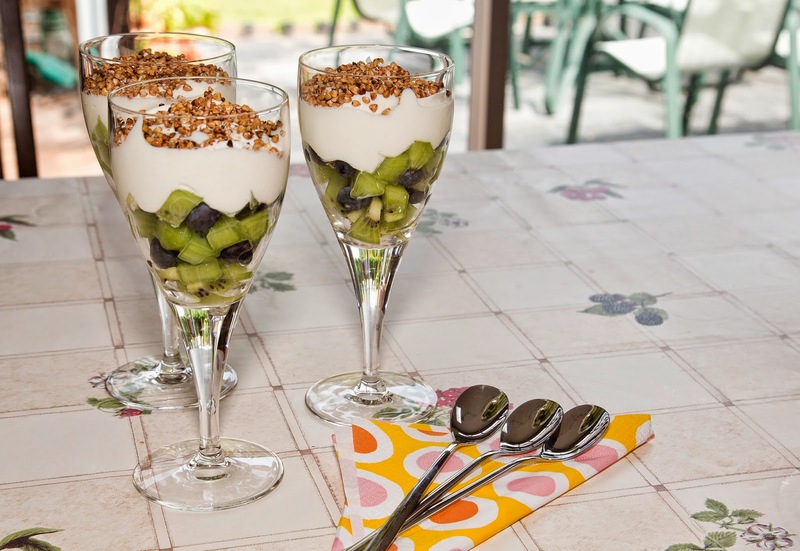 Mix together the cream cheese, fromage frais, sweetener and rum essence and spoon over the fruit. Just as you are about to serve, sprinkle the buckwheat over.